Custer had a better day at Little Big Horn than Nevada Republicans had at the ballot box on Election Day ’18. The massacre was complete and textbook — including leaving one lone survivor, Republican Secretary of State Barbara Cegavske, to live and tell about the wipeout to our children and grandchildren. Party dry of support and operating funds. Major donors were instead directed to give their money to various outside organizations — including some controlled and managed by Slanker (for hefty “consulting” fees, of course). This effectively neutered the official GOP operation, placing critical election activities — including messaging, communications, voter registration and get-out-the-vote efforts — into the hands of unaccountable, and in many cases totally inept, political mercenaries for hire. There’s nothing illegal about Democrats and unions busing people to the polls (whether those voters were legal or not is a different story). That’s called organized get-out-the-vote. 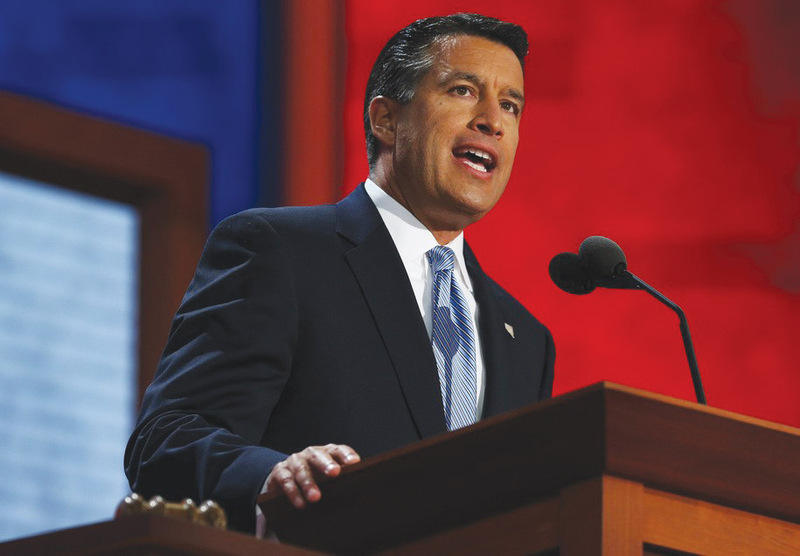 No reason Republicans can’t do the same — other than the fact adequate funding, thanks to Sandoval, wasn’t provided to the Nevada GOP for such activities. the pits. As I wrote many, many months ago, his communications operation was JV-level, at best. And Heller’s “Never Trump” antics in 2016 were never forgotten or forgiven by many Trump voters despite Trump’s herculean efforts to put that toothpaste back in the tube. But the real cutting issue that did Heller in was courtesy of Sandoval, who was the first “Republican” governor to fully embrace ObamaCare and expand Medicaid — a decision that will inevitably bankrupt the state or result in yet another ginormous tax hike on we, the people. Then there was the largest tax hike in Nevada history. Republicans who raise taxes, explains my friend and taxpayer champion Grover Norquist, are like ratheads in a Coke bottle; they destroy the brand. Sandoval is the biggest rathead in a Coke bottle in Nevada. — including the creation of a new business income tax — down our throats. Indeed, the antipathy — bordering on hatred — for Tax Hike Mike was so bad and so deep over his betrayal on the tax issue (he signed the Taxpayer Protection Pledge when he first ran for state senate), that even if you add every vote for one of the third-party candidates and every “None of the Above” vote (almost 58,000), he STILL would have lost by some 7,000 votes! And subject to a recount in one remaining state Senate race in 2018, Republicans in both the Assembly and Senate could end up in SUPER-minorities (less than 1/3 representation), which means Democrats can now pass even more tax hikes — and there’s not a damn thing Republicans can do to stop them. In addition, Sandoval also helped ensure that what remains of the super-minorities in the state Assembly and Senate are controlled by wishy-washy, go-along-to-get-along mushy moderates. The Senate now has but two conservative Republicans and maybe four or five in the Assembly — depending on who’s appointed to fill late Assemblyman Dennis Hof’s seat. Thank God Republicans have finally reached the end of this error. Now let’s see if a phoenix can rise from the ashes — “IF” we still have a state left two years from now. Previous story Does the 14th Amendment require ‘birthright’ citizenship?